These audio messages were found on old reel-to-reel tapes, and were generously converted to digital form by Pastor Lance Ralston and Calvary Chapel of Oxnard, California. Many of these messages have no specific time marker within them, and so dates and locations can sometimes only be guessed at – but most seem to be from the 1960s. There is some great material here! Dr. Orr speaks to a student group, dealing with the issue of authority for one’s beliefs and the issue of inspiration of the Bible. Date and Location unknown. This message begins with Dr. Orr speaking about the historicity and trustworthiness of the Bible. Then Dr. Orr speaks of how Jesus Christ is the “transformer” that communicates God to us. Date and location unknown; possibly given during a spiritual emphasis week at a college (Seattle Pacific?). This message was delivered at Seattle Pacific College, focused on the topic of a deeper experience of the Holy Spirit. Really, a wonderful message on an important topic. Date unknown. Delivered at Seattle Pacific College, unknown date. This seems to be an early version of a message Dr. Orr presented with great effectiveness. This includes many stories from the Hollywood Christian Group. Date unknown. 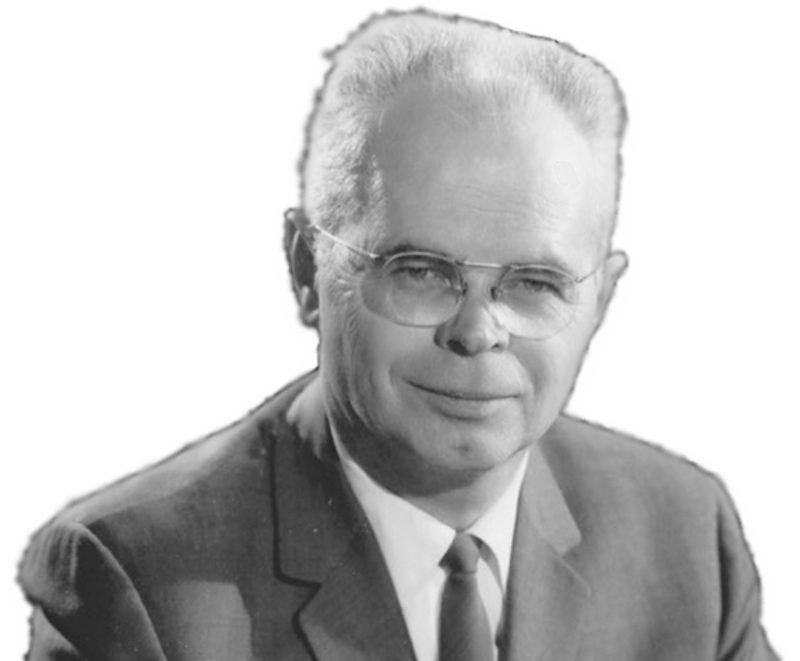 A wonderful, short version of Dr. Orr’s testimony of young Christian service – mostly events noted in his first book, “Can God -?” From the mention of Nikita Khrushchev, this message may be from the mid 1960s. Location and date unknown. A good message on the existence of God. He makes three main points: The axiom of existence, the fact of order, and the hypothesis of a designer. Location and date unknown. This is one outstanding version of a theme Dr. Orr spoke on often – “Faith that Makes Sense.” This version is rich with scientific explanations and illustrations. In it he explains how most opposition to the idea of God comes not from natural scientists, but from more philosophical disciplines. From the references made to Inter Varsity, this may be before an InterVarsity group. From the mid-1960s; he mentions that 1944 was just over 20 years ago. Another good version of a theme Dr. Orr spoke on often – “Faith that Makes Sense.” In it he deals with atheism, agnosticism, pantheism, and defdending one’s faith in the academic environment. From the mid-1960s; he mentions Khrushchev as contemporary (leader in the Soviety Union from 1953-1964). Location: Seems to be in a church, and in Southern California from the mentions of UCLA. This is a briefer version of the “Faith that Makes Sense” message. He speaks of 1970 as in the future, so probably in the mid to late 1960s. In this message that seems to have been given in a large hall, Dr. Orr says: “Faith in God is an universal human intuition. Universal. Even those that fight it, have it. But it is agreeable to reason, it is verified by Divine Revelation, and it is confirmed by human experience.” Location unknown. Beginning with the statement, “I’m not going to preach a sermon, I’m just going to talk to you out of my heart,” Dr. Orr delivers a great message on prayer. He mentions Southern California as if this is where the message was given. No exact date is given, but at about 9:34 he mentions President Eisenhower as if contemporary (1952-1960). Speaking to students, Dr. Orr gives a great message on sin and forgiveness. Towards the end, he gives a wonderful illustration about his experience in flying a plane. Date and location unknown. Dr. Orr speaks of the need for revolution – the changing of the heart. A great message on human nature. Deals with similaries and (especially) differences between humans and animals. The message cuts off while Dr. Orr is speaking about forgiveness. Location unknown. Date unknown, but Dr. Orr mentions the year 1957 as in the past. Dr. Orr is speaking to a comparative religions class, about 1964. He says that he had just finished the book “Light of the Nations” which was published in 1965. The last 15 minutes or so is Dr. Orr taking questions from the students. Great message – good audio, very informative. Location unknown. From his references to the Navigators, it seems that Dr. Orr is speaking to a Navigators group. In this message he begins with his story of coming to Norway and Denmark, and talks about several events from his youth, recorded in the book “Prove Me Now.” Location and date unknown. From his references to Jim Downing and Lorne Sanny, it seems that Dr. Orr is speaking to a Navigators group. This is a wonderful version of Dr. Orr’s message on the conscience. Mentions that Sherwood Wirt wanted this message in Decision Magazine, so he was recording it and would sent it to his wife for publication. Location and date unknown. Speaking at Seattle Pacific College at sometime in the 1960s (see at about 36:13), Dr. Orr deals with different views of Creation, the Bible, and Science. Very interesting, and includes an extended section of questions and answers. Speaking at Seattle Pacific College, Dr. Orr gives a very good message on a theme he spoke on several times. Date unknown.